Following a routine mammogram on September 26th of 1974, just a month after becoming First Lady of the United States, Betty Ford was diagnosed with breast cancer. 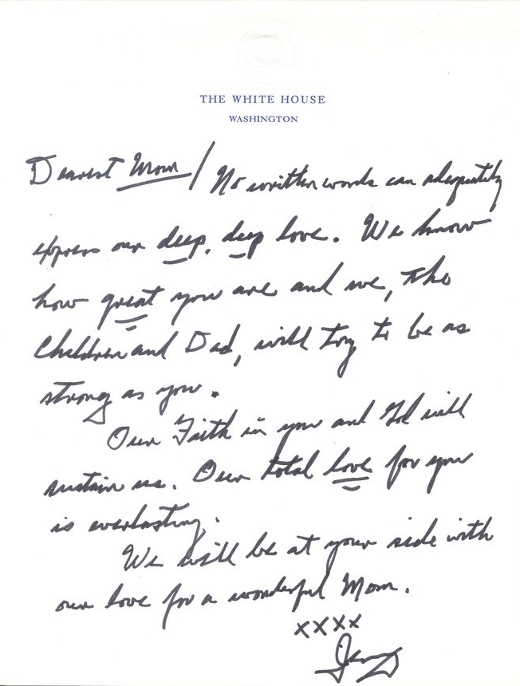 Below is a loving letter of support from Betty's husband — then-U.S. President Gerald Ford — and her children, written shortly after the diagnosis. 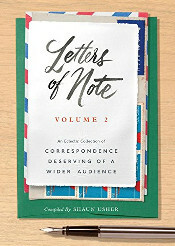 Betty Ford's decision to be entirely open about her illness and subsequent mastectomy was embraced by the general public, and helped enormously to raise awareness of the disease. In 1982, after battling alcoholism, she also co-founded the Betty Ford Center for drug and alcohol rehabilitation in California. 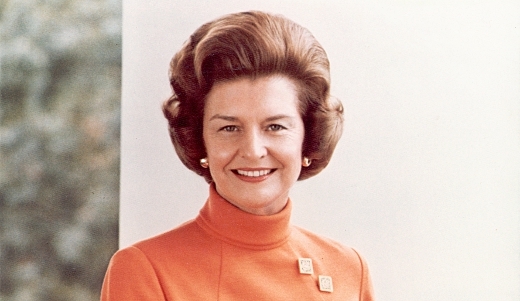 Betty Ford passed away on July 8th, 2011, of natural causes. She was 93.